Every single customer on this planet seeks an unbelievable experience when he or she interacts with a company or a business. Providing good quality customer experience and support is as important and pivotal as offering top grade product or service to your consumers. However, it has been noted on various occasions that some entities do not have a customer-centric culture, and this really makes them susceptible to the wrath of the shoppers. This is where the companies have to put in place a robust and accommodating customer centric approach and mechanism. It does not matter whether that particular customer is purchasing something or is filing a complaint, the customer service team should accommodate his or her needs accurately so as to ensure that the issue/query is resolved timely. The million-dollar question is, how should the team interact and accommodate? Let’s discuss the following 25 customer service tips that your executives can use to completely satisfy your customer’s requirements. A smile can become your biggest ice-breaker when you want to establish a relationship with a customer. A smiling face is always accommodating, warm, and inviting. If your support team smiles a lot, your customers will feel welcomed. Customer support can only be performed accurately if we mix the technology with the humanistic approach. There are several tools and software programs that your team can use to enhance the experience of a shopper or an aggrieved customer. You simply use tools like Live Chat, which has the ability to create a middle ground where the support team and the customers can interact with each other with more purpose and depth. Live chat tools, like Acquire, provide features like co-browsing, screen sharing, instant messaging, video conferencing and facilities calling, among others. These features can easily enhance the way teams talk to customers and accelerate problem-solving in an interactive way. Your team needs the right tools in order to execute your plans and keep your customers happy. Screen sharing: Suppose your customer is not tech-savvy and he is very confused about the navigations that are the only way he can resolve his doubts. There is a screen sharing option. With screen sharing the Agent gets temporary access to a customer’s computer screen and he can navigate on behalf of the customer. Isn’t it an easier and simpler way to assist the customer in such situations? Co-browsing: Co-browsing is the techniques that allow the representatives to interact with a customer by using a customer’s web browser. Let’s assume the customer is having difficulty placing an order online, so with the help of Co-browsing the reps can literally show how to use the ordering pages, by using the browser. It is the small tools that make a big move to impress customers. It also consists of some more features like Instant Messaging, Video Conferencing, and Calling Facilities etc. that make customers and rep’s like easier. And if you're running a WordPress site, Acquire (along with a few other live chat plugins) will help you implement all of the above functionality. One of the simplest and quickest ways to offer resolution is with Helpdesk & Ticketing tools. It helps you to capture, convert, and resolve customer queries from one unified centralized platform. You can keep track of past customer conversations, pick up and initiate the conversation from where it is left. Convert these conversations into an actionable ticket and assign them to the right department to prompt them to take action - all the activities from qualify conversations to assignments happen in a matter of seconds due to which your team is able to resolve a query at a faster pace. You can even add other team members in the conversations and collaborate to expedite resolution. Define SLAs, to prioritize tickets on the basis of severity level and never fail to deliver on the commitment. Also, you should make sure you are using your CRM tool more efficiently. It helps a lot in serving the customer better. You can use CRM to collect and store personal info. Let’s say there is a festival coming, you can send the greeting customers on their mobile or email address. You can also wish for his birthday. It will make him happy and he will feel like he is part of the community. CRM tool is also used for responding to the customer’s complaints quicker. Resolving customer’s query faster is the most important priority for any company. CRM helps perfectly with that. It is essential for you to keep the website updated regularly. It should have all the information about a product or service. The website depicts your company’s online presence; no compromise should be made in the quality and service at any cost. It is vital that your team keep a positive and bright attitude when dealing with your customers. There is no substitute, as positivity has no replacement. If you maintain an accommodating and inviting attitude, then you will easily avoid conflicts. In this regard, you can follow Apple’s example: Apple has a very specific set of guideline for its employees, which portray the company’s wish to stay positive - just like their brand. They firmly believe that the employees should remain positive in order to provide a great service to their customers. "According to an old saying, “If you don’t take care of your customers, then someone else will”. Your job does not end when the customer’s problem is solved or when the sale has been made. Part of the customer’s experience includes the right final impression too. If you falter or get lazy ether before the last lap or at the finishing line, then you do not receive the coveted win, regardless of how good your stint was in the metaphoric race! A subtle ‘Goodnight’ or a very cheerful ‘Goodbye’ also work. These common courtesies might seem a bit cheesy; however, they leave a strong and lasting impact on a customer’s experience. Some support executives greet the customers who approach them with a query or a complaint very nonchalantly. In fact, some of these executives are so untrained and rude that they simply ignore customers when they want to. This behavior is not an option, especially in this competitive world where rivals are waiting to pounce on and take away your customers. It is important that you seriously consider every case and that you respond to all charges, complaints, and queries. When doing so, the response time should be as minimal as possible. Most customers feel like companies should be able to respond to their e-mail within an hour. The customer is not always right! There will be moments where your customers are going to be wrong about something. They may be misinformed or have the wrong information, but you will have to ultimately correct them. Saying, “Sir, you are wrong.” is not the right approach. Instead, use words like, ‘Sir, I would be more than happy to help you in this regard; however, I am very sorry to inform you that you have the wrong information…’. In this example, the customer would not be left feeling like a failure or as if you are brushing them off. This technique may also keep them open to accepting the correct information thus keeping your sales conversion alive. The following advice comes straight from the Customer Support Rule Book. Whatever the issue, and whatever role your company played in the issue, you need to apologize to the customer. If the consumer’s credit card did not work, tell them you’re sorry for their inconvenience or that it happened. If the dishwasher your company made isn’t working, apologize. 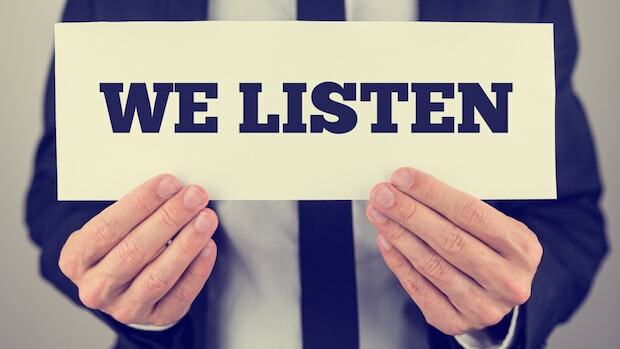 One of the best ways to serve your customer is by listening to them from the start. Most customers contact or reach out to your support team to when they want to convey a message or a problem. Therefore, the first and most important thing you can do is to hear them out completely. Do not interrupt or meddle when your customer is explaining the situation. There is an important saying that says you can learn by hearing. This means that you can obtain important information that might help your team to solve the problem, by simply keeping your ears open. And just remember that if you do not listen, you will never get to the bottom of the issue. There are hundreds of businesses that provide loyalty cards and memberships to several of their regular users. These are called Rewards and Incentives and they make a profound impact on a customer’s point of view and opinion about your business. If you want your customers to be happy, you can reward them with incentives and bonuses that recognize their loyalty and uniqueness. Amazon’s Prime Membership is one such example. Businesses can also make customers feel valued by highlighting them or their views on the business’ website or app. The customer feels proud and loves the fact that they are doing business with you. Customers do not call you unless and until they have a real problem to address. So you can imagine that customers contact you when they need quick help. Therefore, it is vital that your team understands the fact that you cannot waste a customer’s time. Your team must try to solve the issue as soon as it is recognized. Sloppiness will just put off your customer because your workflow is slow. Your customers will expect a timely solution and if they don’t receive it, there is a chance that they will find someone else who will provide them with that attention. 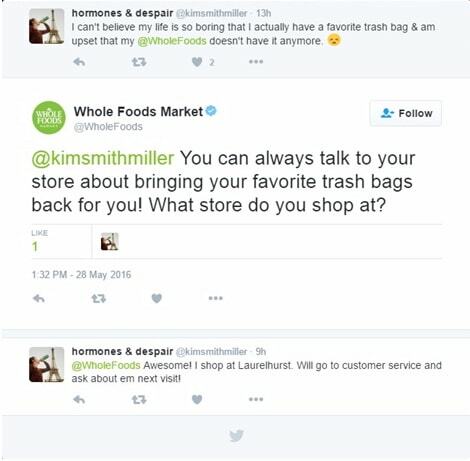 One thing is certain, delaying responses to our actions on behalf of your customers will certainly make them angry and cause them to shop elsewhere. When your team represents your business, they must talk and speak as if the business itself is speaking. So, when an executive says “no”, he or she instantly diminishes the value of your business. “No” is never an answer. If a customer is facing an issue, then your team must try to resolve it, one way or another. The best way to do that is by providing alternatives. You can provide different customers with different options when one approach is not viable. However, you must avoid saying “no” most of the time. We understand that in some situations you may need to rely on a “no” or we “don’t know”; but your final answer should end on a positive note with a “yes” or a plausible alternative that provides hope. We have already explained the importance of not wasting a customer’s time. Now consider the other side of the matter. Do you consider wasting your own time to be a fruitful activity? We know that you are smart enough to understand the perils of time wasting. And finally, waste the consumer’s time. Your team must be robust and fast, albeit effective and efficient as well, so that the pending column does not increase by much. Take a look at Verizon’s 24x7 and 365 Days Premium Support. You can utilize live chat in order place to solve the problem quickly. According to a statistic, only 22% of businesses are able to solve a question at the first opportunity. That means that 78% of businesses make at least two attempts to resolve an issue! This is not the way your company should conduct itself. When a customer calls or interacts with you, they expect that the problem can be resolved within one phone call or interaction. You can make this a possibility by redirecting calls through better IVR options so that the call reaches the correct person right away, by training your team to handle all types of cases and by making sure that every department contributes to customer support. This way, customers won’t have to speak with multiple people. Imagine what would happen if a customer called into your service team but your executive was oblivious to the problem being faced. This would be a customer support nightmare! To avoid this, you must properly train your employees so that they can easily resolve any type of problem or situation being addressed by a customer. The training and development program must cover all aspects of how to deal with issues, talk to customers, and resolve problems, display etiquette, and the appropriate talking points. Apart from that, your team should believe in and understand your product before they are sent out with the task of pacifying a customer. If your team does not know the product or the service well enough, then they will not have enough knowledge to tackle an issue. Acknowledging the concerns of a customer are, of course, vital to resolving an issue and are of even greater importance. However, showing empathy when addressing a situation is what makes a support team good. With interactions going live on a real-time basis, showing some form of emotion can be vital. If your team walks the extra mile and shows a little empathy, it can easily build a rapport with the customer. This results in trust and can put the customer at ease. People love staying in the loop. When they have a pending query, they become even more impatient. It is your support team’s duty to keep them regularly updated as to the progress, especially if there is a prolonged delay. In fact, even if there is a slight delay. According to a research conducted by Contact Point Client, only 21% of support staff ask for a customer’s name. They found that customers like it when the support team tries to connect with them by asking their name and then using it to address them. This helps the support staff to be able to connect with the callers in a better way. Please note; however, that if you are a cold-caller doing random marketing, then avoid using first names! As Mahatma Gandhi said— “…A customer is doing us a favour by giving us the opportunity to serve”. Thank You is a phrase that you can keep saying to yourself. When customers call you they expect etiquette, decency, and general courtesy. And, a thank you at the right point helps a lot when trying to win the trust of the caller. For Example, when you ask the caller for details, you must thank them for providing the information. It’s the same for when they are being transferred or put on hold. Finally, when you are about to sign off, a thank you for calling works also! It takes ages to gain a loyal customer and the onus falls on your shoulders to retain them. Loyal buyers like it when a business recognizes their loyalty and persistence. Rewarding or giving preference to that loyal customer should be on your books. Using a robust loyalty program is one of the best ways to do it. It is estimated that on average, the American household, holds membership to 29 schemes each year, out of which they trade with 13 of them regularly. 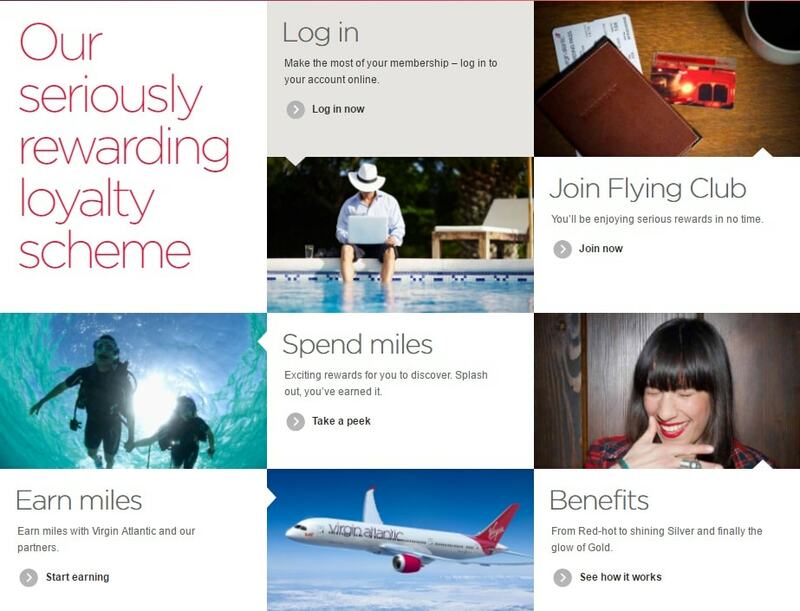 Your company can easily copy the system Virgin Atlantic uses as it is deemed to be a very successful loyalty program. Now that you know how to keep your loyal customers happy, you must also work hard to keep the new ones accommodated and engaged. These new customers can become the next group of loyal consumers if you play your cards right. You can offer new members a small gift for joining or you can allow them to purchase something from you at a discount. You can provide them with an e-mail to thank them for selecting you. Use platforms like Bond to send cards or messages. You can also give your new joiners a gift pack - something small but significant that they can use and, more importantly, remember you with. Of course, providing a quality core service or product also helps, but let’s just assume you already know that. Similarly, other companies also take, receive and resolve issues on their Facebook page alone. Aside from Facebook, companies also use Twitter, YouTube, and Instagram to troubleshoot problems. According to a survey by Nelson, nearly 50% of customers use social media to lodge their concerns and in response, expect a quick resolution. Companies also take social media seriously as they believe it is just too powerful and big to ignore. In the trend of social media, more than half of the customer will demand your presence in social media. Social media is the platform which reduces the gap between customer and company. Numerous numbers of customers will comment or tweet their issues on social media about the product or service. 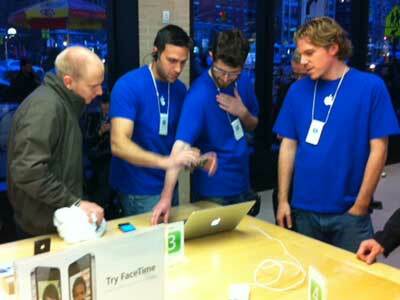 It will give the customer a rich customer service experience. It is extremely necessary to be actively present on social media. It is recommended to give a reply to comments, tweets of the customers individually to make them feel special and part of the community. It will not only bring them closer to the company but will also increase the respect for the company in their heart. It helps the company to announce and promote any new offer or any announcement without any hurdle. Share the information with the customers is just a click away through social media. ‘’Always give people more than what they expect to get’’: Nelson Boswell, Prominent Author. Every business says that it does something extra to keep their customers happy. Unfortunately, only a few actually do it! Sometimes, businesses have to walk that extra mile in order to keep their customers happy. For example, after resolving an issue, your company can throw in a discount coupon just to apologize for the inconvenience. Stories like these help a company to show their humanistic side and allow them to connect with the public in a better way. Another great example of walking the extra mile comes from the stables of the Ritz-Carlton. Day 1: Your team interacts with enthusiasm and courtesy. The team offers discount coupons. Your team has a negative attitude and charges the customer for absurd things. You need to ensure that your organization does not do the same. Consistency is the key when you want to deliver the best support. Your team has to make sure that positivity and good results are consistently provided via your support. If your support team is staffed with people from all departments, then you can imagine how easy it can be for your team to resolve issues and queries. Productivity becomes more efficient and the turnaround times are reduced as well. Participation and assistance from everyone. Everyone receives training and experience. Everyone knows about the product/service and its shortcomings. People like doing business with people, rather than with businesses. You have to interact with your customers. You have to listen, solve their problems and answer their queries. You have to advise them on matters that they do not understand. You have to be honest with them at all times. You have to look out for their benefit. You must live up to the customer’s expectations. You must do these things if you want to create an understanding with your customers. We believe that following these 25 tips will certainly allow your customer team and structure to become robust and efficient. Remember, just a bit of sincerity can easily bring fruition to the program and ultimately make your customer’s day!